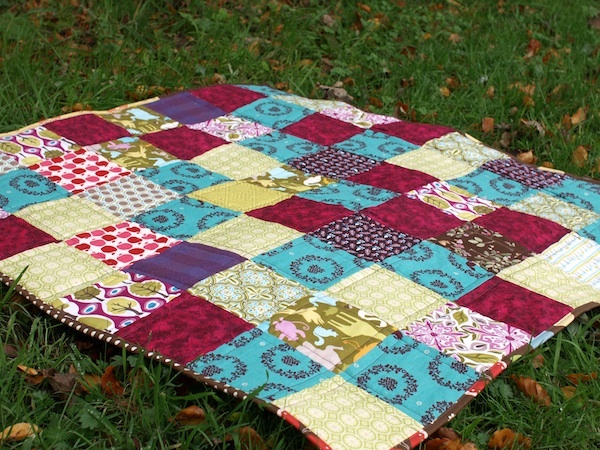 It turned out as a lap quilt, and came about just because I wanted to sew some squares together. 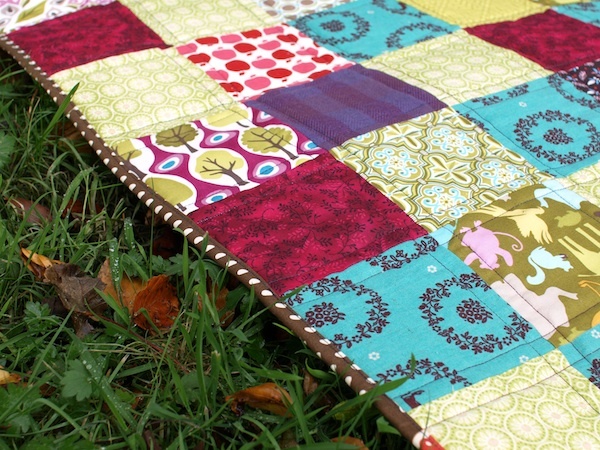 Seriously, the patchwork top took me about 15 minutes to make. It’s scrappy in every sense. The top is made from leftovers of my recent projects and those of my buddies, the binding is five leftover jellyroll strips and even the wadding inside is a bit of jigsaw puzzle. I forgot to photograph the back, but it’s some simple Ikea fabric. 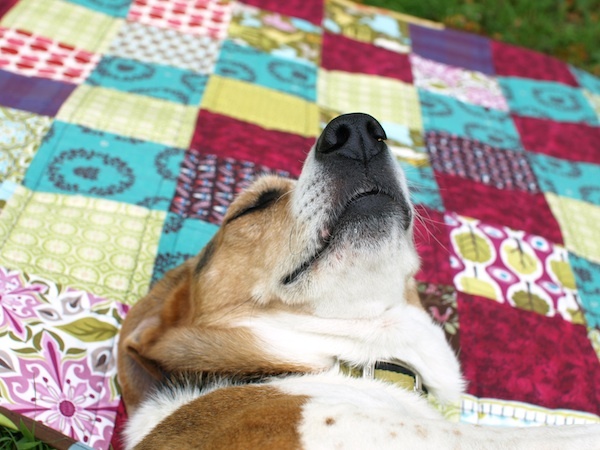 I can’t believe I’m writing this, but I started making this as a quilt for my sister’s puppy. Then, halfway through the quilting I looked over from my sewing machine and Ruby had her cheeky puppy face in my knitting basket. My handspun Flukra no longer has any yarn attached, though the shawl itself is fine. Thankfully Ruby is ok too, and produced some handspun this morning on her walk. 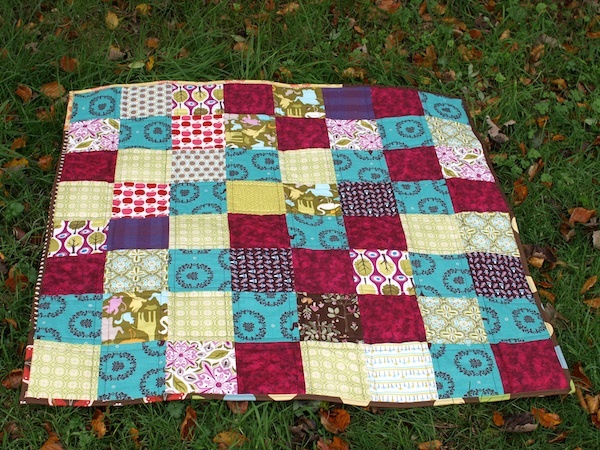 I quickly saw sense about the recipient of the quilt though, and its currently on the way to my mum. 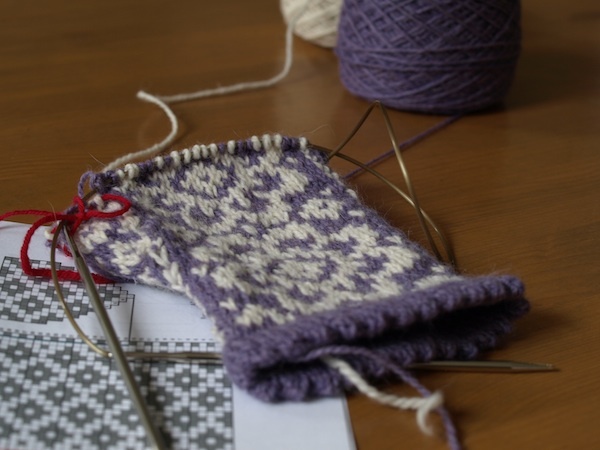 I am loving this pattern, its the End of May Mittens by Mandy Powers. And look! 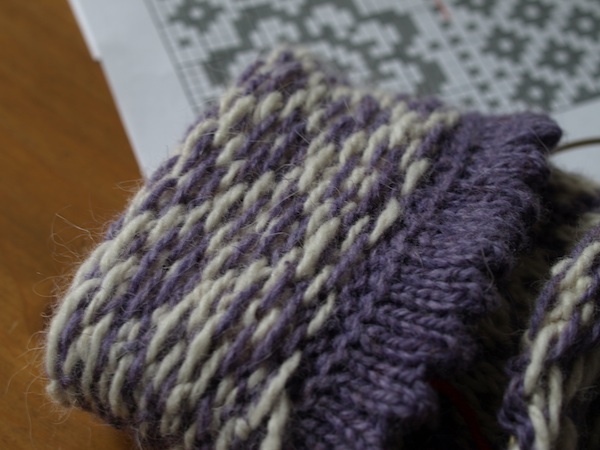 – there is a matching hat… I added a picot edge and I’ll be lining these with some laceweight cashmere for added loveliness and then giving them away, as usual. I know they’re going somewhere nice and appreciative though, don’t worry! The yarn is delicious, Shilasdair‘s Luxury 4ply, a lovely light, soft and smooshy lambswool/angora/cashmere blend.